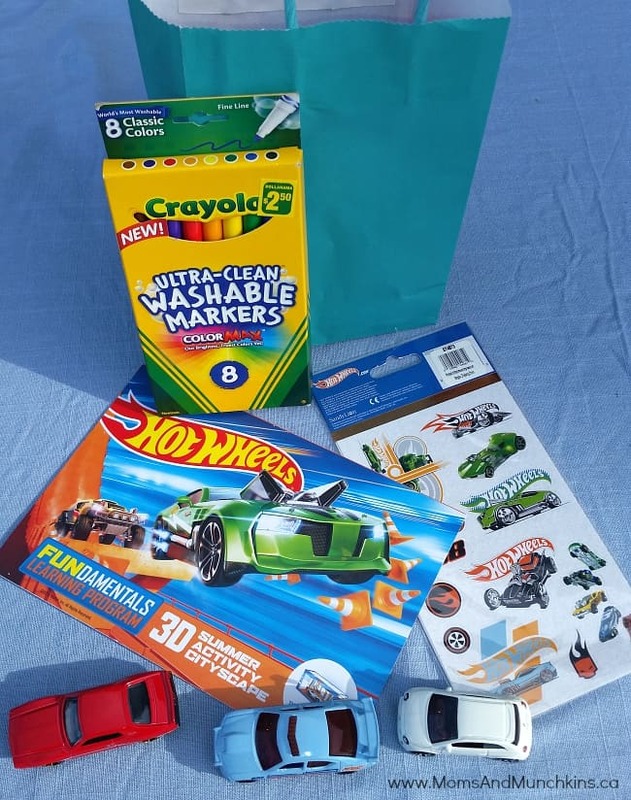 This Hot Wheels learning post is courtesy of our contributor Carolyn…Since becoming a mom, this is my very first year I am working through the summer! As summers of the past approached, we were moving, my clients were moving on, or I had a newborn. But this year I have a full house of 3-7 year olds all summer long. One way I have learned to keep some order is to plan activities in advance! 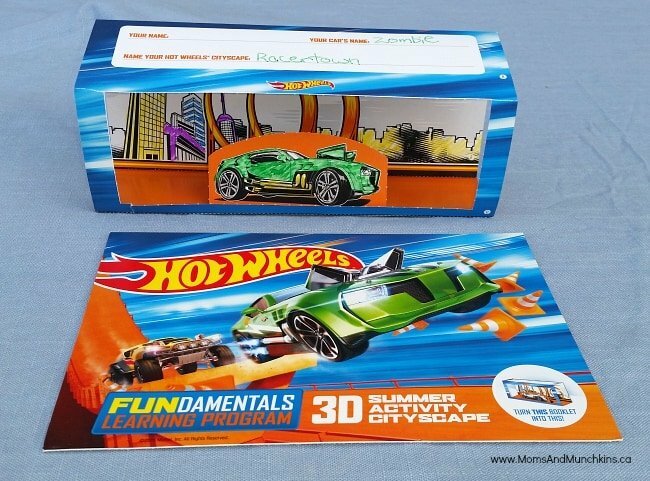 I was given the opportunity to check out Hot Wheels FUNdamentals program and was delighted to learn that a whole days’ worth of planning, minus meal prep, was right there for me. As you can see in my planning chart (SPICE), each area of development I provide throughout the day is covered and then some. I have to add that the interest in the activities have carried on into not only the next few days, but a new week! My girls and boys alike are having a ton of fun while learning valuable skills! 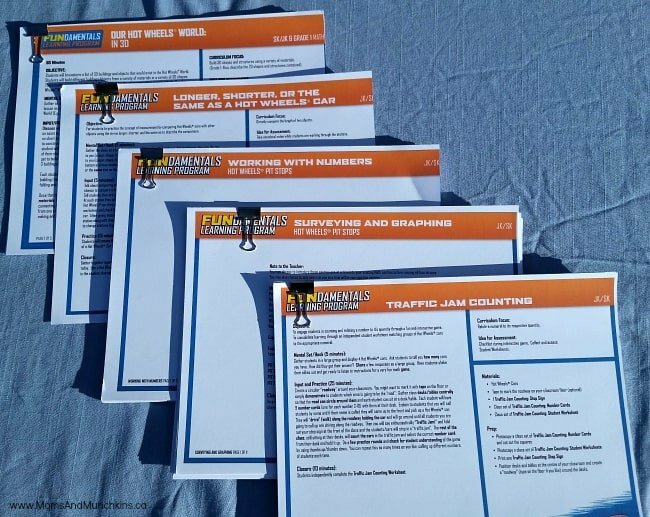 Every activity is printable and comes with an information sheet with the objective of the activity, how to carry out the activity, and materials needed. 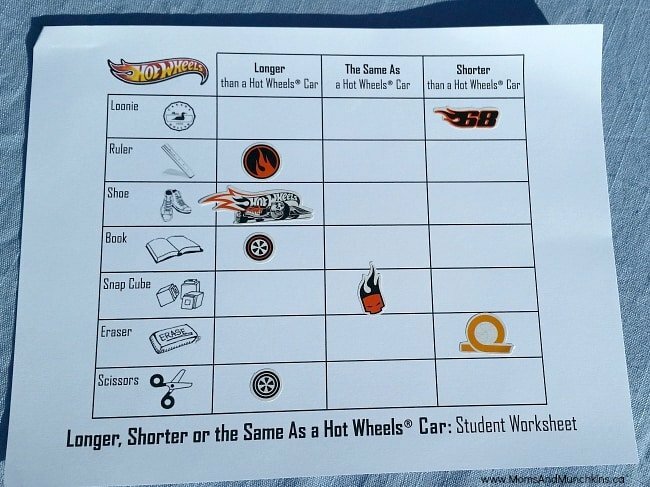 You’ll find all the FREE printables on the Hot Wheels FUNdamentals program website. I started the day out by giving each child a gift bag with materials they can use for the activities and take home at the end of the day! They were most excited by the three Hot Wheels cars! Yay! I wrote the children’s initials on the cars in advance to help with misunderstandings of which cars belong to whom. 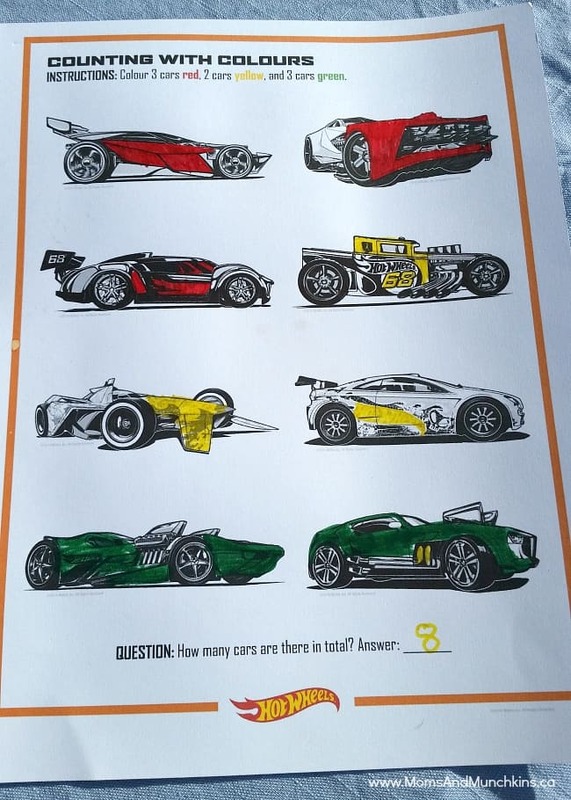 Their first favourite activity was “Longer, Shorter, Or The Same As A Hot Wheels Car”. 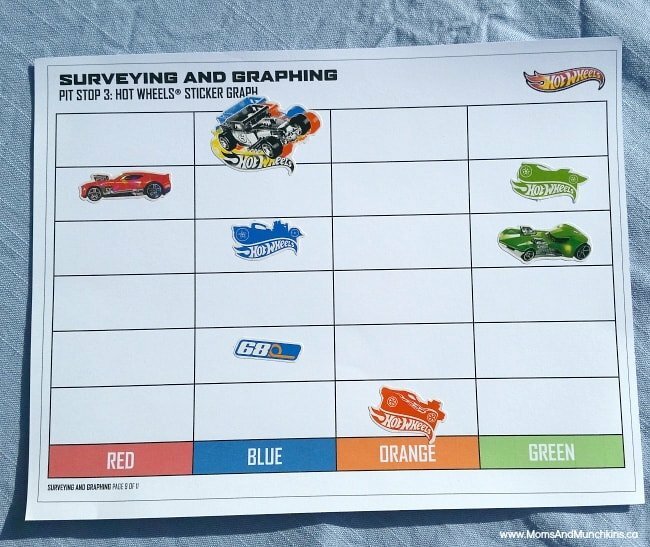 This was the first time I’ve done a comparison activity with them and after comparing their Hot Wheels cars to the materials on the chart they went on their own and started comparing them to other objects in the room. I was so impressed with how excited they were for these Hot Wheels activities! Their next favourite activity was “Traffic Jam Counting”. 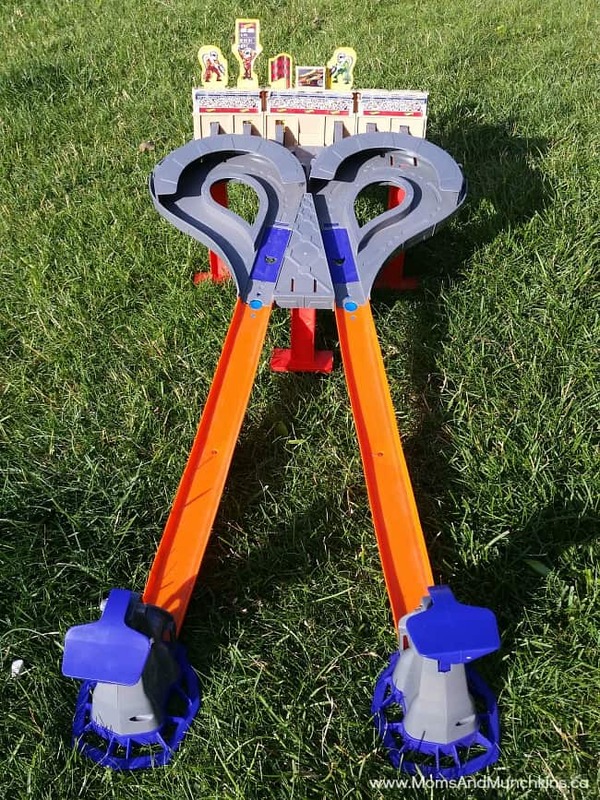 The instructions give several material ideas to make a roadway but I decided to use the train track from our train table. The cars fit perfectly on them! My favourite part of all the activities was that it was easy to modify the instructions to match the children’s developmental levels. 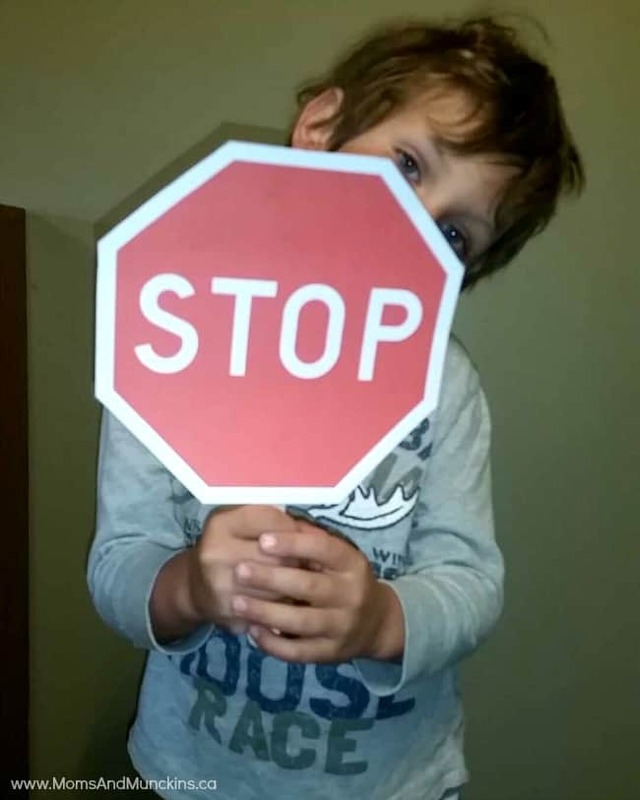 The part of the game they enjoyed the most was when they each got a turn to hold the Stop sign and yell out “traffic jam”. Finally, their most favourite activity was definitely our “super speed race” track and “Spiral Stack Up Track set” tournament racing. We used the tracks to practice sharing, taking turns, and a little friendly competition. But let me tell you, it’s pretty hard getting 3-7 years olds to understand that it’s okay to lose once and a while! 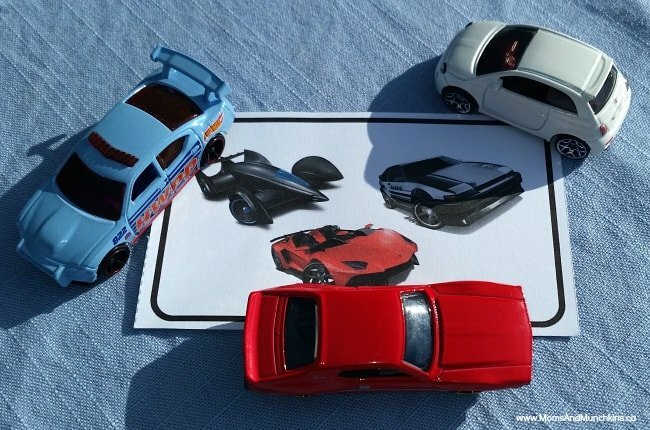 Other free printable resources you will find on the Hot Wheels FUNdamentals website is an activity book with puzzles. My older children were able to do and a cityscape everyone enjoyed colouring! 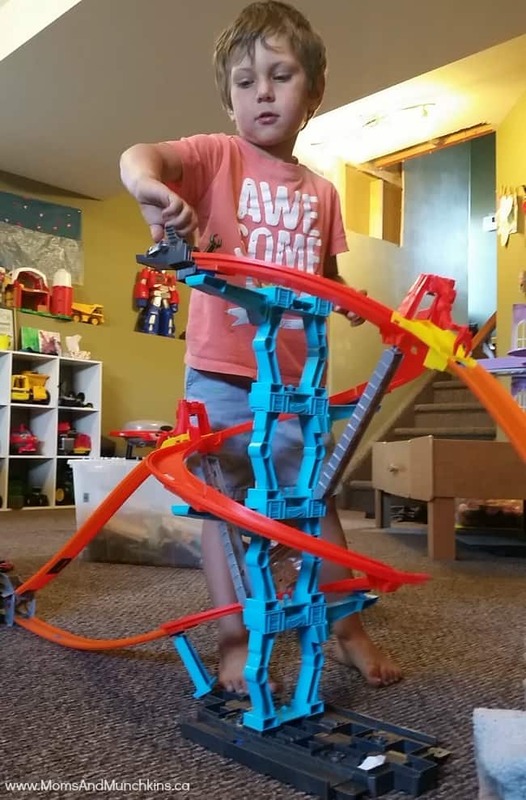 Hot Wheels Fundamentals Learning Program has developed an impressive resource for educators and parents and I’m excited to see the children grow with the program. I’ll definitely be implementing the activities into my program planning for years to come, especially if it keeps the peace and my sanity!